For almost 60 years, Enterprise Rent-A-Car has partnered with collision repair centers and insurance companies to help customers whose cars have been damaged or stolen. In fact, Enterprise has a history of providing innovative solutions and streamlining the rental process among insurance companies, auto repair centers and neighborhood branch offices to increase efficiencies as well as enhance data security and transparency overall. As a result, Enterprise not only is committed to safeguarding the privacy of collision repair data, but also to supporting an open data platform in today’s highly competitive marketplace. In 1994, Enterprise created the Automated Rental Management System (ARMS) to help insurance companies simplify the cumbersome process of managing replacement rental cars for policyholders. Once a claim is filed and a rental reservation created, the system automatically transmits all pertinent and essential information to a local Enterprise branch office. From there, insurance adjusters can quickly and easily monitor the repair status of a customer’s vehicle, which often leads to a shorter rental length and ultimately rental-cost containment. In 2007, the U.S. Patent and Trademark Office issued a patent and trademark for the system, reflecting Enterprise’s significant investment in resources and intellectual capital. Enterprise Holdings acquired CynCast in 2011 after partnering with them for many years to make the replacement rental process more seamless by eliminating manual updates. This acquisition also enhanced communication with local collision centers that repair damaged vehicles in Enterprise Holdings’ U.S. fleet, as well as those operated by the company’s affiliate, Enterprise Fleet Management. 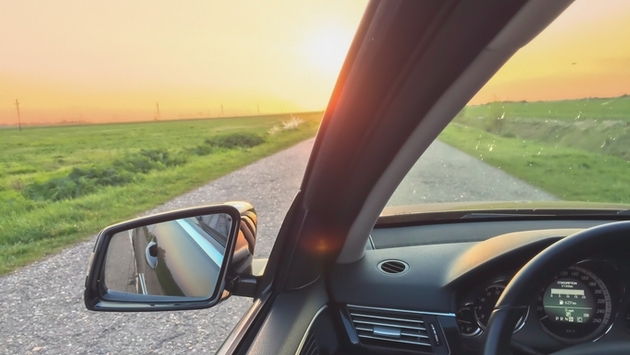 Three years later, Performance Gateway was acquired by Enterprise to further enhance workflow efficiencies and improve communication between industry suppliers, insurers, repairers and vehicle owners. Today, hundreds of insurance companies and thousands of collision repair centers use Enterprise’s value-added system, which processes millions of transactions every year. Enterprise Rent-A-Car’s system also provides quarterly reports on length of rental (LOR) data, often considered a proxy for vehicle repair times. The existing Enterprise system likewise helps collision repair centers evaluate their effectiveness against others in their region to remain competitive. Since it is more than just a transportation provider to the repair and claims industries, Enterprise Rent-A-Car has made it a mission to be a good steward of the data entrusted to it, and to find ways to streamline workflow processes for its partners through access to that data. Moreover, Enterprise recently introduced ARMS Business Solutions (ABS), an even more dynamic and comprehensive system that merges its ARMS, CynCast and Performance Gateway products. ABS is a comprehensive platform that leverages Enterprise's long-term experience with partner integrations and allows insurance companies, collision repair centers, suppliers and vehicle owners to access relevant data, regardless of technological preferences. This, in turn, enables industry partners to effectively and efficiently manage networks, workflow, communication and performance across a complex multifaceted claims process. Furthermore, the ABS system helps protect insurance companies, collision repair centers and fleet owners by converting their information from EMS (Estimate Management Standard) to a more secure protocol, BMS (Business Message Suite). Hawkins stressed that Enterprise – with a significant internal repair volume and trusted relationships with collision repairers, insurers and suppliers – intends to keep collaborating and partnering with businesses that believe in open technology platforms and provide services that help advance the collision repair and claims industries. In addition to providing access to critical data at no cost, industry partners can work with Enterprise to purchase customized reporting services and software through ABS’ dynamic system. "There is growing concern that some data providers are beginning to focus on ways to monetize or restrict access to critical data and even actually charge a fee for access to it,” Hawkins noted. ABS’ approach, on the other hand, enables collision repair centers, insurance companies and fleet owners to remain in control of their data for the long term – a high priority since vehicle technology and associated repair processes are changing rapidly. “We support solutions that enhance processes, reduce cycle time, increase shop capacity and help control costs for our business partners and ourselves,” said Hawkins.